Getting a pair of new gym shoes is the classic purchase dilemma. If you’re hitting the gym for weight training, you spend some time on the treadmill too. So what kind of shoe do you buy – one which is running oriented or a shoe designed specifically for training and lifting? Buying a pure-play training shoe offers all the stability you need, but could prove clunky during runs. Conversely, a soft running shoe is more comfortable but lacks the level of support required for weight training sessions. There is always a middle ground for everything, and that’s what this guide is about. 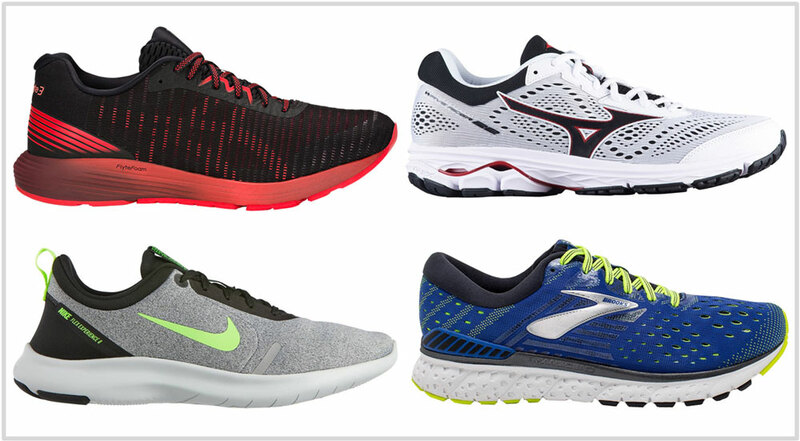 We’ll help you find a shoe which delivers all-around performance in the gym. 1. The shoe should preferably have a heel drop of 4 mm or more: The higher the drop/lift (10-12 mm), the better it is – but only if the running shoe in question is firm and stable. If a shoe is soft, then a higher drop shoe will prove counter-productive during weight-training sessions. A higher drop usually translates into more foam underneath the heel. If the said foam is soft, then weight loading will make the shoe unstable. The 4 mm+ drop rule is exempted for zero-drop shoes which do not compress a lot. For example, Vans and Converse Chuck Taylor have 0 mm offsets. Yet, they’re ideal weight-training sneakers because their soles and sidewalls are made of solid rubber. The same goes for stable sneakers (with a slight drop) like adidas Superstars and Nike Dunks. But then, Vans and Chucks aren’t running shoes so their use-case is limited to weight training. Hence this guide. 2. Do not buy ‘stability’ shoes with medial posts: Let’s say you’re squatting 200lbs on a Smith machine wearing shoes with a medial post. What do you think will happen? Well, the softer part of the midsole will compress while the medial post will not. This not only creates instability but the hardness of the medial post will be felt underneath. You’re better off in a neutral shoe. 3. A firm and stable midsole with a full ground contact outsole: Have you seen a professional powerlifting shoe? It is super-firm with zero roll and a full contact outsole for excellent grip and stability. This is the reason why casual sneakers like the Chuck Taylor, Vans, and cup-sole sneakers perform so well in the gym. For the same reasons, shoes with a heel Air Bag (Nike) or adidas Boost are excluded. Besides, treadmill running requires a firmer shoe than road running. The general thumb rule here is: heavier the loading weight, firmer the shoe. If you’re lifting 110 kg/250 lbs+ squats or 40 kg/100 lbs (standing) barbell/dumbells curls, then disregard this guide and get a proper (firm) training or lifting shoe instead. At this weight, you wish you had something more stable than a soft running shoe. 4. Good forefoot plant and outsole grip: The shoe should grip well; a few exercises require you to be on the ball of your foot. For example: lunges, leg press, or calf raises. The forefoot should be flexible too. 5. Sufficient cushioning: This is required for treadmill running, all while considering points #1 to #4. Our top picks would be the Mizuno Wave Rider 22 and the Inspire 15. A TPE Wave plate limits rear-foot compression on both these shoes. The forefoot is stable due to its wide base and scooped footbed. A synthetic leather toe-cap on the upper protects you from the occasional bumps inside the gym. Without further ado, here’s a list of eight best shoes for gym and weight training – in solereview’s order of preference. The Wave Rider 22 has an excellent blend of stability and cushioning. The wide forefoot flare and the plastic Wave plate makes the shoe supportive. Above it, the layered upper is protective and spacious. The Inspire 15 is the next best thing to the Rider. It is very similar to the Rider 22 except for a more supportive inner midsole. 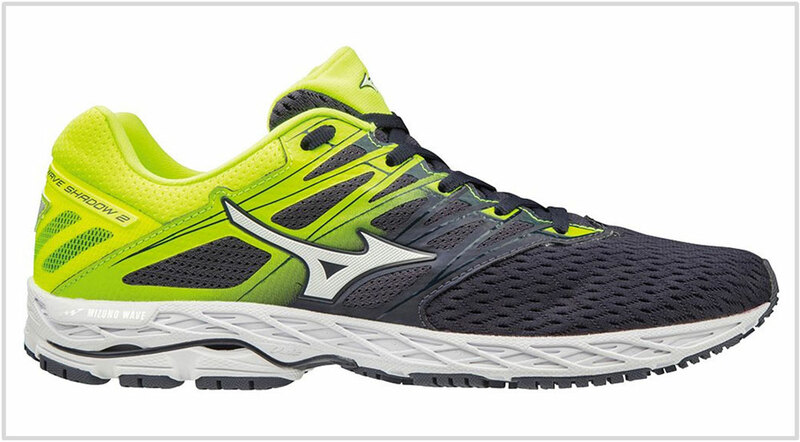 The Wave Inspire 15 is sold by Mizuno as ‘stability’ shoe but its ride behavior is akin to the Rider 22. It doesn’t have a medial post; the Wave plate has more structure on the inner side, that’s all. The low-profile midsole is stable yet cushioned – just the thing you need on a gym floor or treadmill. The rest of the shoe mirrors the Wave Rider 22. The spacious upper breathes well and has stitched overlays to form a protective foot covering. If your workout consists less of weight-training and more of treadmill runs, then the Shadow 2 is an excellent choice. The same things which make Shadow 2 a great road racer – namely the low-profile midsole, snug upper and grippy outsole – also makes it an ideal gym shoe. The low-profile midsole gives it the stability required for weight-training sessions. On the treadmill, the Shadow V2 is in a class of its own. The Nike Free has always been a great shoe for the gym environment. The flexible and supportive midsole is suitable for weight training; the ride is cushioned enough for the treadmill. If your exercise routine involves calisthenics then the flexible midsole comes in very useful. There’s also a Flyknit version of the Free RN available. The upper heel of both the variants is collapsible. 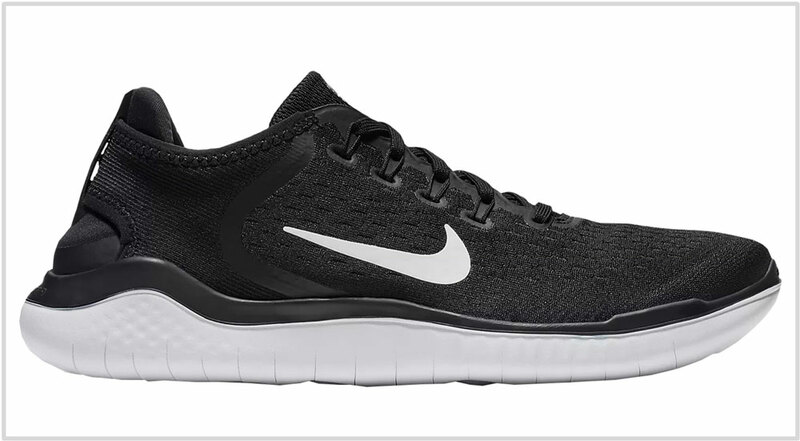 This is an entry-level, gym-friendly shoe which is inspired by the flexible midsole design of the Nike Free. The lightweight shoe is good for weight training, treadmill use, and even as a travel fitness shoe. The Dynaflyte 3 is a lightweight neutral trainer with a firm ride. The Flytefoam midsole has enough support for standing gym workouts and is also ideal for treadmill runs. The snug upper keeps the foot pinned down during workouts. The Brooks Ghost 11 continues to be our cushioned shoe pick for gym use. The midsole has a thick stack of foam which is supportive enough as long as you aren’t loading it with too much weight. Pick the Ghost if you want a little more shoe while steering clear of the marshmallowy cushioning territory. If you want something firmer in this class, get the Adrenaline GTS 19. If you want to dial up the level of cushioning without compromising on stability, the Transcend 6 is the shoe. 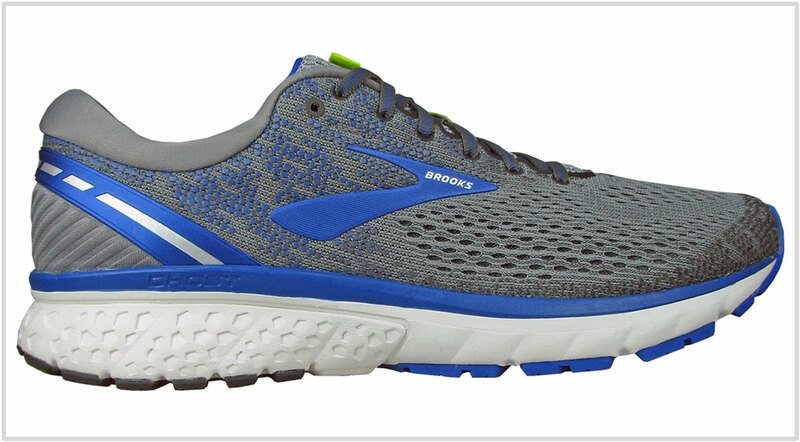 Not only does this Brooks shoe have ample cushioning underfoot, but its wide outsole footprint and high sidewalls also gives it a very planted feel.